Typically only available in red and white or yellow and black color schemes (with occasional limited edition options), the latest Chrome Soft Truvis ($44.99/dozen) features a white and pink pattern to improve focus and overall visibility. Like all Truvis models, the pink design is also particularly useful for putting practice. Other features of the latest Chrome Soft Truvis model include the same construction and performance as the standard Chrome Soft, including a new larger, Graphene-infused Dual Soft Fast core that optimizes energy transfer at impact for high launch, low spin distance off the tee and enhanced control around the greens. An extremely thin Urethane cover and low compression core round out the features by providing exceptionally soft feel and feedback at impact. 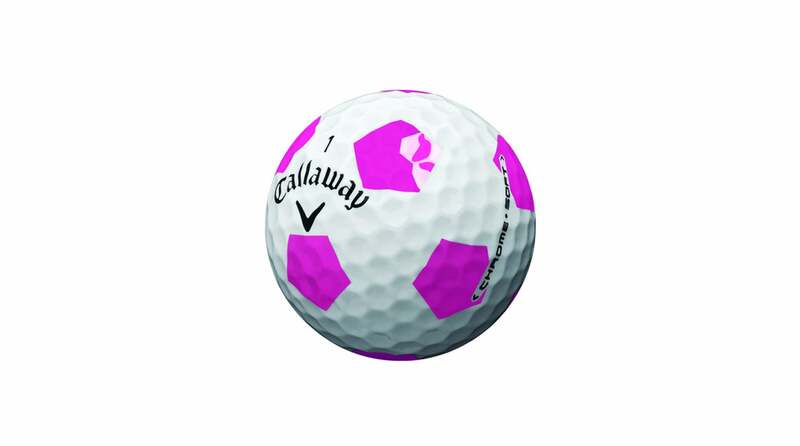 As part of the new Chrome Soft Truvis Pink introduction Callaway will make a donation to the Morgan Pressel Foundation to aid and support patient care and research in the fight against breast cancer. YOUR DREAM SET OF CUSTOM CLUBS IS JUST ONE TRUE SPEC FITTING AWAY The new Chrome Soft Truvis Pink is available at retail now.